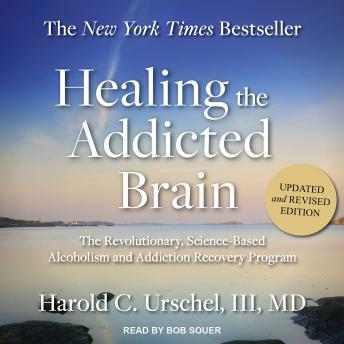 Healing the Addicted Brain is a breakthrough work that focuses on treating drug and alcohol addiction as a biological disease-based on the Recovery Science program that has helped thousands of patients defeat their addictions. It combines the best behavioral addiction treatments with the latest scientific research into brain functions, providing tools and strategies designed to overcome the biological factors that cause addictive behavior along with proven treatments and medications. Using this scientific approach, you will learn to conquer the physical factors that keep people tied to drug and alcohol addiction. The proven fact is that addiction is not a moral failing or an issue of not having enough willpower. It is a disease of the brain that can and must be treated like other chronic medical illnesses-such as diabetes, hypertension, or asthma-in order to defeat the disease. This revolutionary program can triple the success rate of patients, from 20-30% to 90%. There is hope. By understanding addiction and using twenty-first-century breakthroughs, for the first time drug and alcohol addiction can be, and will be, defeated.